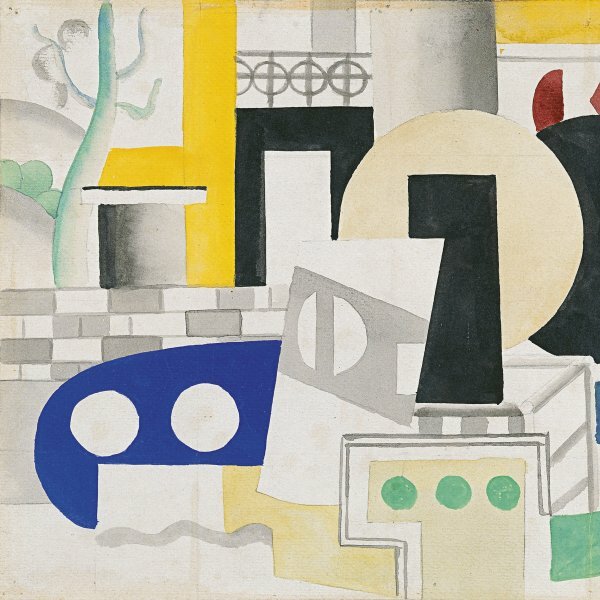 As with many other artists of his generation, being conscripted during the First World War not only had a profound effect on Fernand Léger’s spirit but also gradually drove him to shun abstraction and return to real objects. However, this return to realism did not occur immediately, and when he was able to take up painting again after a long convalescence following his stay in a Paris hospital, he began a series centred on representing the form of the disc. 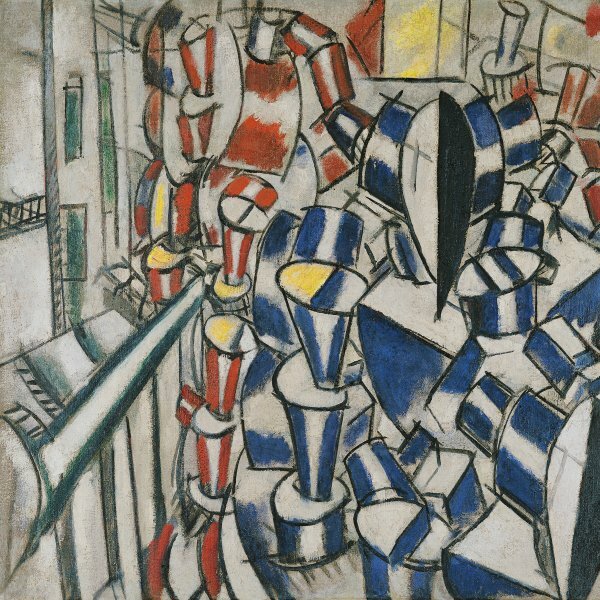 The incorporation into his compositions of this abstract motif, which was already familiar to him before the war through the non-objective language of Robert and Sonia Delaunay, may be due to his collaboration with Kahnweiler in the publication of J’ai Tué by the Delaunays’ Swiss writer friend Blaise Cendrars, which came out in November 1918 with illustrations by Léger. 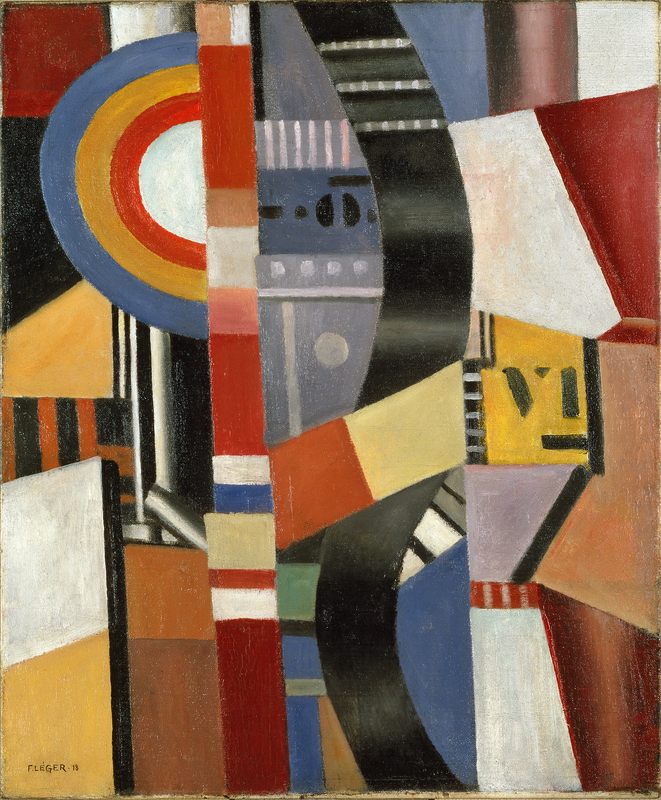 The Disc in the Thyssen-Bornemisza collection was executed in October 1918 and was first shown in the artist’s one-man exhibition at Léonce Rosenberg’s Galerie l’Effort Moderne in February 1919. 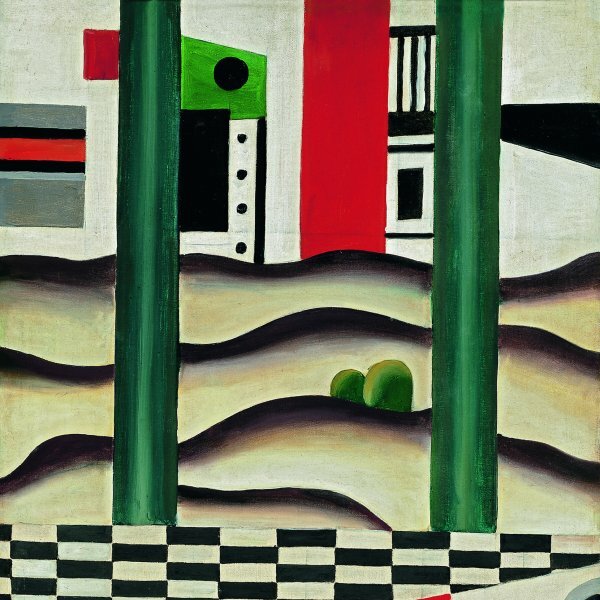 Completed approximately a month before the Armistice, it may be linked to his painting Armistice Day, executed that November, and July 14th, 1918 at Vernon, a slightly earlier work also on a war theme. However, although certain references to movement and the colours of the flags can be found in the present composition, Léger did not intend the disc to represent anything specific; it is simply a pictorial motif of colours and planar forms.